This indigo-dyed face covering or burqua would have been worn by a Bedouin woman most probably in Yemen but also possibly in adjacent Oman. 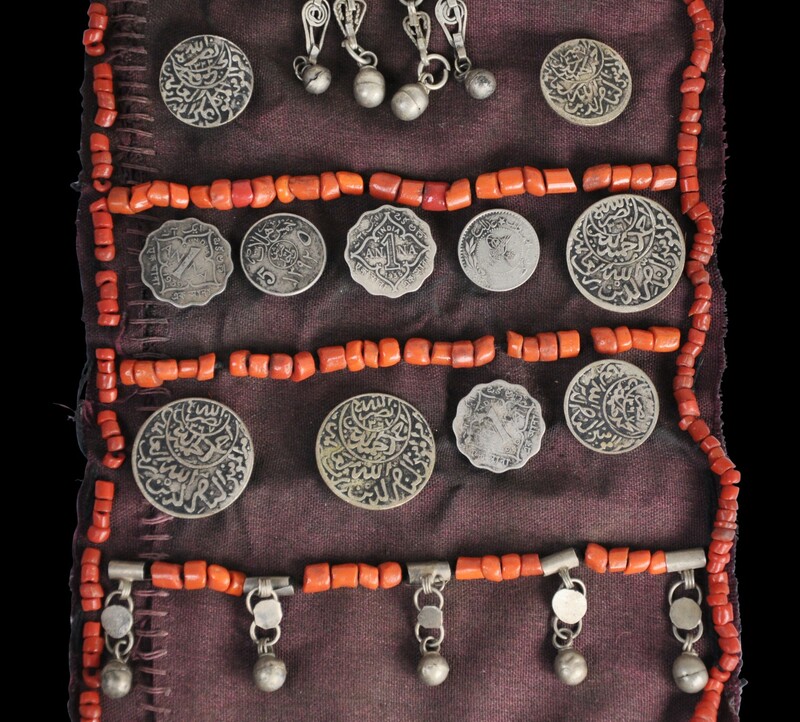 It is decorated with an eclectic range of 31 silver Indian, Ottoman and Yemen coins, and even a United States one dime coin (dated 1939) and a Dutch East Indies coin (dated 1945), as well as dozens of coral beads, pendant silver dangles, and a small silver talismanic or amulet box, the has been sewn to the middle of the covering. Each of the coins has a small loop soldered to the reverse to permit it to be sewn to the covering. 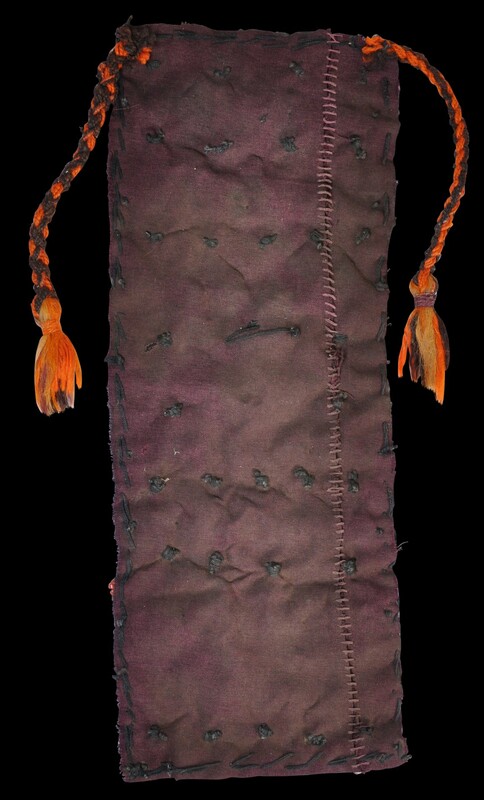 Two orange and brown twisted cords possibly made from dyed goat hair are attached to the top of the covering to allow it to be attached to the headdress. 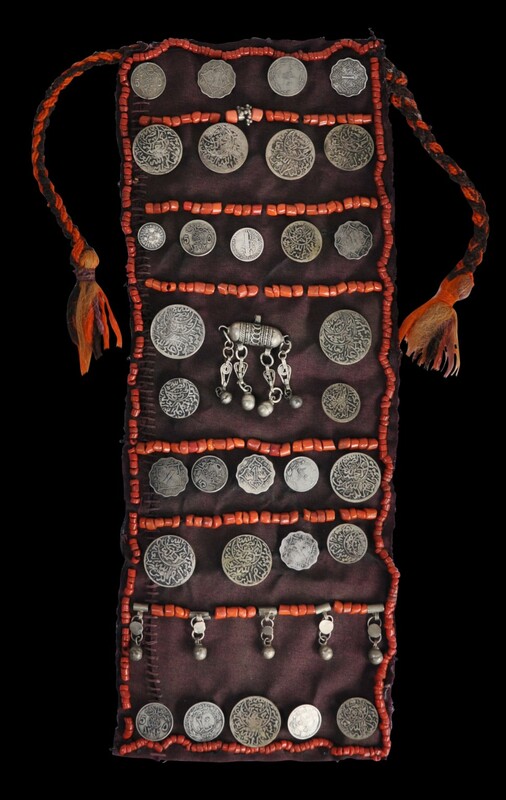 Suleman, F., Textiles of the Middle East and Central Asia: The Fabric of Life, The British Museum, 2017.